FORT WORTH, Texas - A Texas teenage fugitive and his mother attempted to disguise themselves and disappear among the American tourists who flocked to a Mexican resort city for the holidays, but are now in custody and set for deportation to the U.S., authorities said Tuesday. 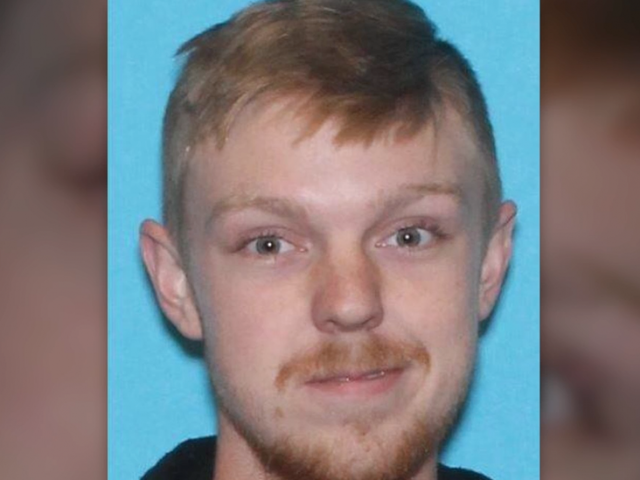 Tarrant County Sheriff Dee Anderson said 18-year-old Ethan Couch — known for invoking an "affluenza" defense after he killed four people in a drunken driving wreck — and his mother had prepared to be gone awhile, even dying Couch's blond hair black, before being detained Monday in the Pacific Coast city of Puerto Vallarta. "They had planned to disappear. They even had something that was almost akin to a going-away party before leaving town," Anderson said. He would not give details about the event including how many people attended. Couch was on juvenile probation for the wreck when he was 16. During the sentencing phase of his trial, a defense expert argued that his wealthy parents coddled him into a sense of irresponsibility — a condition the expert termed "affluenza." The condition is not recognized as a medical diagnosis by the American Psychiatric Association, and its invocation drew ridicule. The sheriff has said he believes the two fled in late November after a video surfaced that appears to show Couch at a party where people were drinking. If found to be drinking, Couch's probation could be revoked and he could be sentenced to up to 10 years in prison. Anderson said Couch and his mother apparently crossed the border in her pickup and drove to Puerto Vallarta, though the whereabouts of the truck are unknown. The U.S. Marshals found the two in Mexico, and worked with Mexican agencies to apprehend them. It was not clear whether they had any accomplices. No immediate charges were planned for others who may have known about or assisted with the flight plan, Anderson said. He said authorities have no evidence that Couch's father was involved. Anderson said an arrest warrant was being issued for Couch's mother, Tonya Couch, on charges of hindering an apprehension, a third-degree felony that carries a sentence of two to 10 years in prison. Tarrant County District Attorney Sharen Wilson said that at a hearing next month she plans to ask a judge to transfer Ethan Couch's case to adult court. Couch would then face up to 120 days in an adult jail, followed by 10-year probation. If he violates probation, he could face up to 10 years in prison per death, Wilson said. Couch's attorneys, Scott Brown and Reagan Wynn, said in a statement they won't comment until they speak with him, which likely won't happen before Couch reaches the U.S.
Ricardo Ariel Vera, the representative of Mexico's immigration institute in the western state of Jalisco, said the mother and son were being held at immigration offices in the state capital, Guadalajara, and would be returned to the United States aboard a commercial flight to Houston. He initially said that would happen Tuesday; however, another immigration official who is not allowed to be quoted by name told The Associated Press that there were no seats available on commercial flights and the return would be Wednesday. Mexico's Jalisco state prosecutors' office said its agents had been working with American authorities since Dec. 26 to track down and capture Couch and his mother. They were found in a dowdy section of Puerto Vallarta's old town, far from the glitzy resorts, golf courses and high-rise hotels of the newer section. The street corner where they were found is dotted with a small sandwich shop, a taco stand, and a mom-and-pop corner store. A playground and a day-care center with a fence topped with razor wire stand nearby. Anderson noted that Ethan Couch's hair was "markedly different." A photo distributed by the Jalisco state prosecutor's office shows him in detention with his blond hair dyed black and his normally blondish beard now brown. Couch was driving drunk and speeding on a dark two-lane road south of Fort Worth in June 2013 when he crashed into a disabled SUV off to the side, killing four people and injuring several others, including passengers in Couch's pickup truck. He pleaded guilty to four counts of intoxication manslaughter and two counts of intoxication assault causing serious bodily injury. Because of his age, he wasn't certified as an adult for trial and a judge sentenced him in juvenile court to 10 years' probation and a stint in a rehabilitation center. Authorities had begun searching for the pair after Ethan Couch failed to keep a mandatory appointment with his probation officer on Dec. 10, leading authorities to issue the juvenile equivalent of an arrest warrant for him.